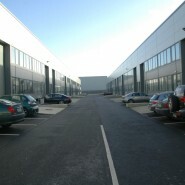 Following a review of a report issued by the stakeholders, which outlined significant issues on a large business park, we were appointed to carry out an appraisal of the development in order to evaluate the construction, planning and other related issues, which potentially negatively affected the asset value of the development. In conjunction with the developer we were requested to prepare an action plan to attain resolution of same. On review of the project, it was clear that a large element of the works were not completed in accordance with the appropriate standards and value engineering of the works had resulted in a poor quality of workmanship. Our first step was to meet with the developers’ project team to understand the management process behind the development and discuss the issues identified in the report. Following a review of the construction defects and non-compliant planning issues, we issued a report to the stakeholders outlining a strategy, with a number of options, to resolve same. On review of the planning issues identified and recommended actions, we were requested by the stakeholders to prepare and submit a retention application, which resulted in a successful grant of permission for the stakeholders and significant cost savings. Following a request from the stakeholders and in conjunction with the developers team and a nominated contractor, we prepared a detailed scope of works and associated drawings package for the infrastructural works. This packaged was used to negotiate a fixed price sum with the contractor. This price and our recommendations were issued to the stakeholders for consideration. Significant savings were made for the financial institute following the success of the retention application. The detailed design package resulted in setting a clear scope of works, mitigating the risk of potential variations when the works proceed. Following a delay period on the project McCarthy & Associates were recently re-engaged by the stakeholders to develop a new design team package and issue out same. A tender analysis report was issued and the stakeholders are currently assessing same.